Acer wants to make a connection with you...via your wrist and heart. Today, the technology manufacturer unveiled three new wearable devices focused on fitness and fashion. The Liquid Leap Fit features a 1-inch touchscreen surrounded by a waterproof casing. It comes with a heart rate sensor that can monitor the strenuousness of your physical activity. Additionally, the wearable will feature a stress sensor with gold-plated pads to measure your mood. Then there's the Liquid Leap Active, a more stripped down version of the Leap Fit, which will keep track of basic stats like distance traveled and calories burned. Like the Fit, it's also waterproof. The new Liquid Leap Curve is billed by Acer as a fashion accessory. Owners are urged to use interchangeable bands and materials to customize their devices however they please. Like the Leap Fit, the Curve comes with a heart rate monitor and stress sensor. It's also waterproof. It isn't yet clear how much the Fit and Curve will cost or when they will be available. Acer is also entering into the smartwatch band design business. 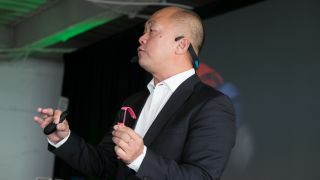 Acer President and CEO Jason Chen said the company is collaborating with partners to create stylish bands that can be used on a diverse array of devices. Acer unveiled the inaugural Liquid Leap product earlier in the year. TechRadar liked its price and pretty screen, but we found it to be a bit slow, inaccurate and short on features. Perhaps Acer has remedied these issues with its latest products. What is the best wearable in the world?